It is well known that ר not lend itself to gemination. It never has virtual gemination. As for the full gemination indicated by the dagesh, ר allows it, but only very rarely, and never after the definite article. There are only about 15 words in Tanakh e.g. in 1Sam 10:24. I wonder if there has been an old tradition of articulation of the resh. 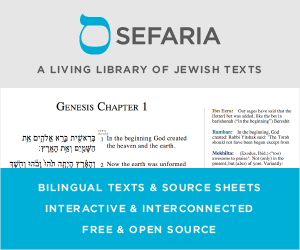 Is it possible that the name שָׂרָ֖ה has once been spelled Sarra (and not Sara)? The famous pasuk Gen 17:15 (וַיֹּ֤אמֶר אֱלֹהִים֙ אֶל־אַבְרָהָ֔ם שָׂרַ֣י אִשְׁתְּךָ֔ לֹא־תִקְרָ֥א אֶת־שְׁמָ֖הּ שָׂרָ֑י כִּ֥י שָׂרָ֖ה שְׁמָֽהּ) is translated by the Septuaginta as follows: εἶπεν δὲ ὁ θεὸς τῷ Αβρααμ Σαρα ἡ γυνή σου οὐ κληθήσεται τὸ ὄνομα αὐτῆς Σαρα ἀλλὰ Σαρρα ἔσται τὸ ὄνομα αὐτῆς . The Name Sara is transliterated Σαρρα and not Σαρα whereas Sarai is transliterated with Σαρα. Any ideas? The Septuagint has gemination of resh, as you note, e.g. Γομορρα עֲמֹרָ֛ה and Χαρραν חָרָ֖ן. Cuneiform transliterations from the 9th-4th centuries BCE also show gemination of resh, e.g. am-qar-ru-na עֶקְרוֹן, za-kar-ri-ya-ma זְכַרְיָה and gir-re-e-ma גֵּרְיָה (Resh: Pre-Modern Hebrew, Encyclopedia of Hebrew Language and Linguistics). Resh is dropped out of words occasionally in the Dead Sea Scrolls, indicating the weakening of resh in the Second Temple Period (Qimron 1986:26–27, The Hebrew of the Dead Sea Scrolls). Some modern pronunciation traditions have geminated resh in their reading of rabbinic literature. Eastern Mishnah manuscripts in fact have geminated resh occasionally (Bar-Asher 1987, The Different Traditions of Mishnaic Hebrew). Not the answer you're looking for? Browse other questions tagged grammar-dikduk pronunciation aleph-bet-letters sarah . how do you pronounce the soft reish? כּרְעוּתֵהּ (with a dagesh in the כּ) or כרְעוּתֵהּ (without the dagesh) in Kaddish?